One of the commercial projects I am currently working on is translating a book on the barrow excavations of Apeldoorn-Wieselseweg. This book presents the results of two excavation campaigns, and was originally written in Dutch. However, given the interesting results these excavations yielded the authors decided they wanted the book to be translated into English so that the results would reach a wider audience. Which is where I came in! Over the past few months I have been translating this volume, which has been a particular pleasure as I participated in these excavations myself, and which is where I met the Husband! 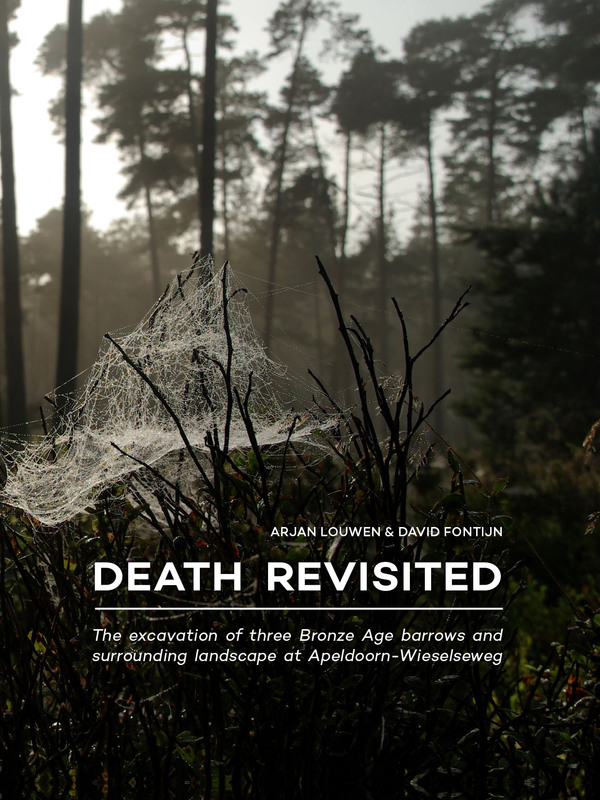 This book presents a group of small and inconspicuous barrows that were recently discovered in the forest of Apeldoorn, the Netherlands. They are part of an extensive barrow landscape of which little was yet known. Fieldwork carried out in and around them yielded a wealth of new data. It was discovered that even the most inconspicuous and heavily damaged mound of this group still contained many special features. This special place was anchored around a site that probably had a particular significance in the Late Neolithic, and where special rituals were carried out during the Bronze Age, resulting in the construction of an enigmatic row of pits – rituals the likes of which have not previously been attested around barrows in the Netherlands, but which are known elsewhere in Europe. The dead were buried at locations that were probably only later covered by monuments. During the Bronze Age (between the 18th and 15th centuries BC) the mounds of this small barrow group were used as collective graves for what was probably perceived as one specific ‘community of ancestors’. The burial practices in the mounds show strong similarities and it is argued that these barrows were each other’s successors, representing the funeral history of people who wished to unite their forebears in death as one unproblematic whole without distinctions. The fieldwork showed that even small-scale, partial excavations of a seemingly minor barrow group can inform us on the significance of the extensive barrow landscapes they are part of – a knowledge that can help us to understand the prehistoric legacy of the Netherlands and to protect it for the future as heritage.